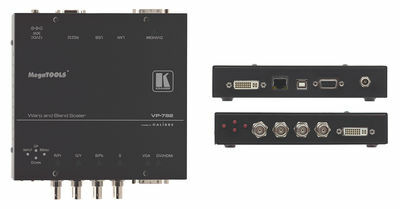 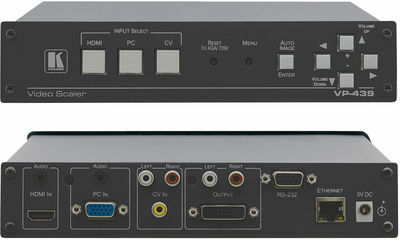 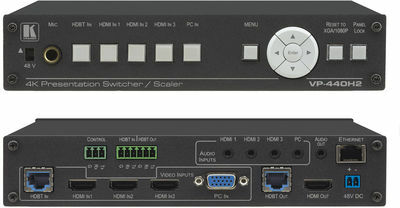 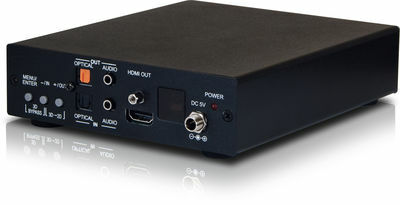 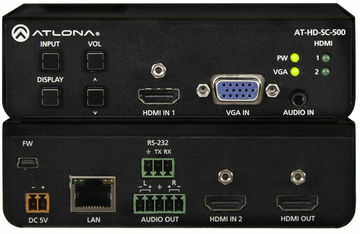 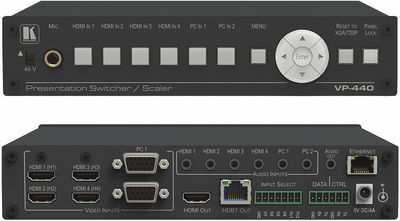 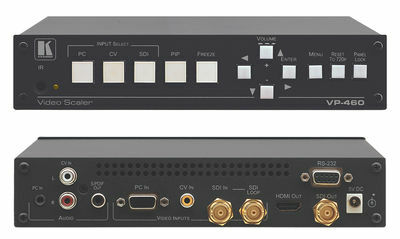 Scalers allow the for the conversion of multiple source video signals to a common type and resolution (for example SD composite or component analogue to HDMI digital). 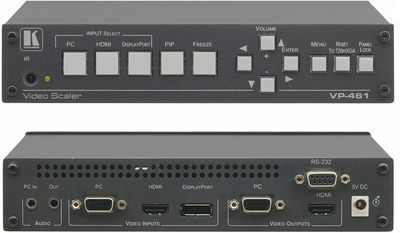 Many also incorporate video processing and effects such as seamless switching, keying, picture-in-picture etc. 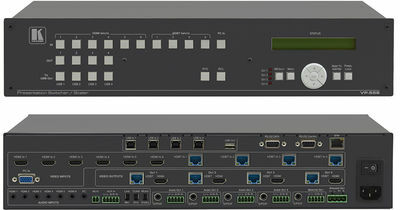 Higher end models allow for edge blending and geometry correction (for curved and corner projection).